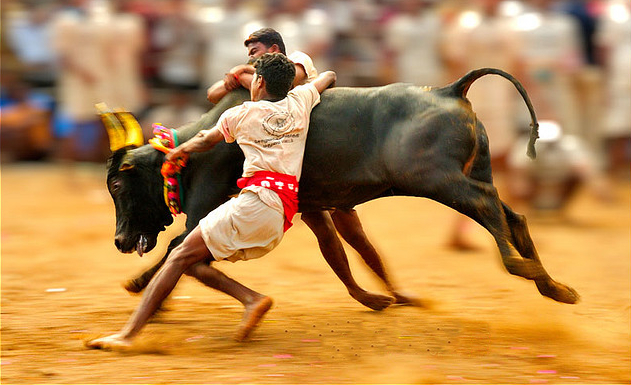 Jallikattu* the bull taming sport which is a popular event during the Pongal celebrations in the south of India has been in the controversial news column for today after the protest in parts of Kerala and Tamil Nadu against the ban of Supreme Court. 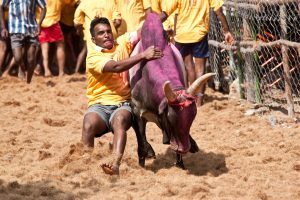 The sport was banned by the Supreme Court on May 7, 2014, citing that it violated the Prevention of Cruelty to Animals (PCA) Act, 1960. 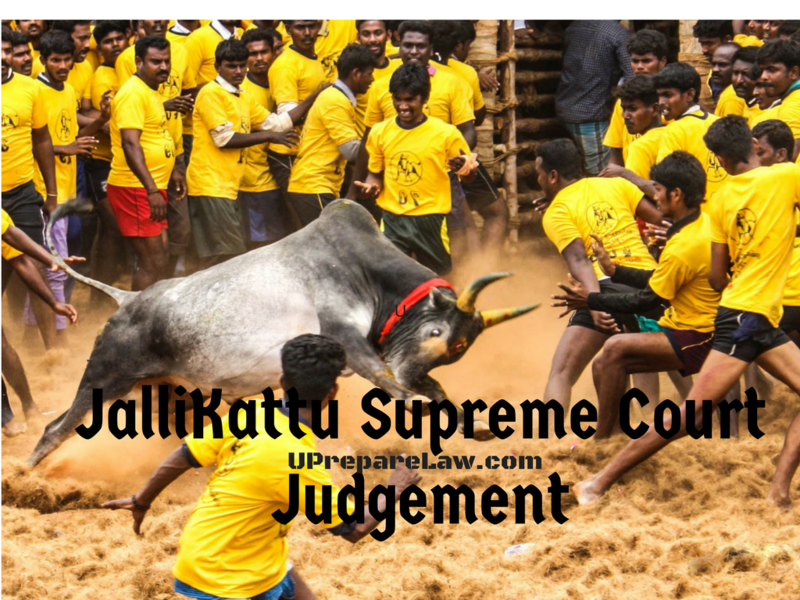 The Judgment noted that bulls could not be used as performing animals, either for Jallikattu events or bullock-cart races in Tamil Nadu, Maharashtra or elsewhere in the country. The protest erupted because of the recent pleas denied by the apex court of the country on passing an order to permit the sport. People of Tamil Nadu, who are passionate about this traditional sport, have hit the streets demanding that the ban should be revoked.They are keen to uphold their tradition and be part of the celebration of Pongal which falls on January 14.This sport has elicited support from popular actors Rajnikanth, Kamal Hassan and by Chief Minister O Panneerselvam, who himself has requested the Prime Minister Narender Modi to pass an ordinance for the smooth flow of the 1000-year-old tradition. 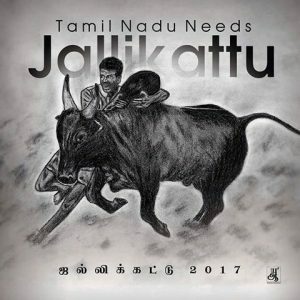 This protest gained more fire when sixty students from the Tamil Nadu National Law School (TNNLS), Tiruchirappalli, have expressed their support for Jallikattu. Many believe that this sport binds them with their ancestors and helps in better breeding of bulls for the next generation but the righteous views of PETA (People for the Ethical Treatment of Animals) which along with the Federation of Indian Animal Protection Organisations urged the president and prime minister not to issue any ordinance to allow Jallikattu as it may be “considered unconstitutional and an inappropriate use of power” to protect the bulls from the cruelty that undergoes in the preparation and during the functioning of this sport by the organizer and the jockeys. Seeing the wide set protest in the state the police has been trying to do their best but the cases of people defying the SC order are increasing rapidly with nearing of the festival.